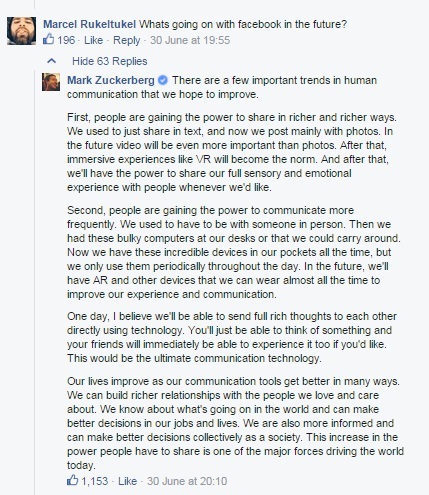 Telepathic Advertising: Face Reality – Facebook Wants To Read Your Mind – Coercion Code – "Dark Times are upon us"
Not content with knowing you’re entire social life, Facebook now wants to read your mind- and has the technology to do it, according to CEO Mark Zuckerberg. 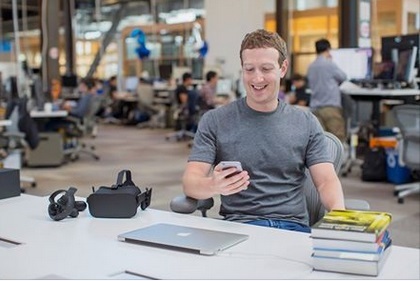 In a Q&A session with site users on Tuesday, the 31-year-old said he envisions a world where Facebook users communicate brain-to-brain, using telepathy. 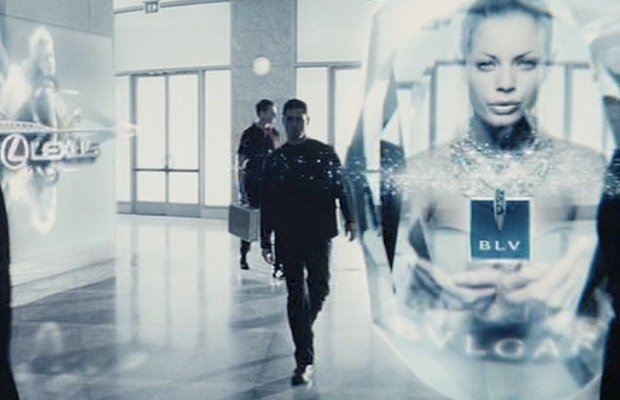 Zuckerberg’s vision is similar to the film ‘Minority Report’ where adverts are shown to Tom Cruise based on his thoughts and inner desires. But science fiction is close to becoming science fact. Currently, scientists can measure and map electrical activity in the Brain using existing technologies like EEG and fMRI machines. And once they have enough maps, they can begin to read them – a point that neuroscientists and researchers are just now approaching. More recently, Facebook commissioned a San Francisco company called SalesBrain to gauge how consumers responded to ads viewed on a smartphone versus a TV screen. Neural researchers used various sensors to measure perspiration, heart rate, eye movement, and brain activity of the 70 participants. Their conclusion: People get more out of information on a mobile phone than a TV, and watching television forces the brain to work harder to combat distractions. A host of new companies founded or staffed by brain researchers have some advice for advertisers: Read your customers’ minds. In a world of ever-shrinking attention spans, where consumers flit through social media sites and skip right past online ads, advertisers are turning to neuroscience to better understand how to steer buyers toward their products. “People are not governed by the rational side of their brains, so the majority of purchase decisions are made irrationally,” says Itiel Dror, a Harvard-trained neuroscientist engaged by London consultants BrandOpus to test the redesign of a logo for Canada’s McCain Foods Ltd.
Dror asked 1,700 shoppers in seven countries to match phrases such as “family,” “warmth,” “mass-produced,” and “factory” with both McCain’s old logo — the company name inside a plain black box — and a new one depicting a sun setting over farmland. McCain is rolling out the new version in 160 countries.